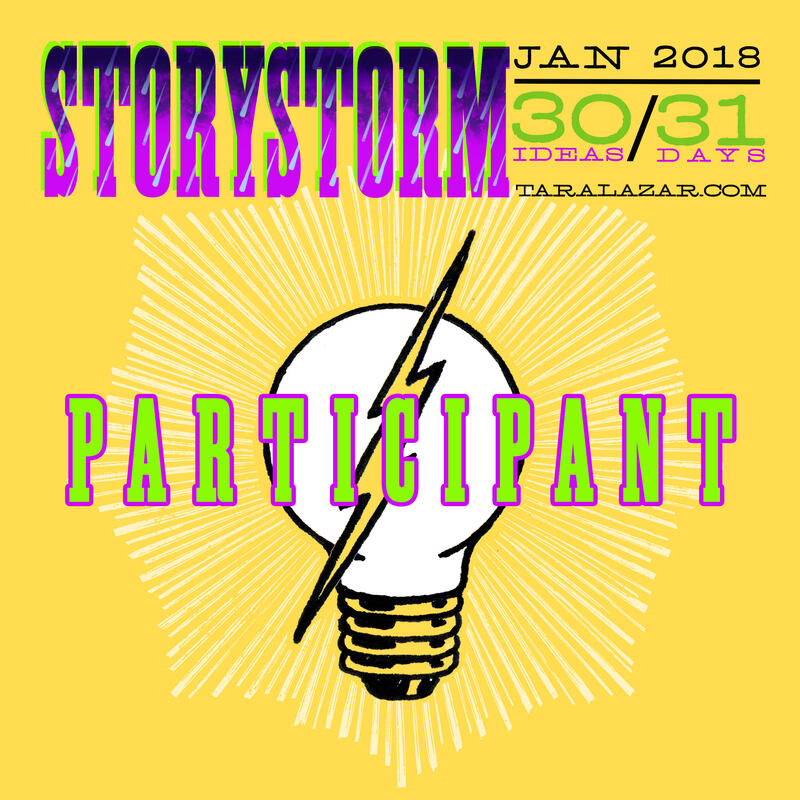 StoryStorm 2018…I'm doing it this time. StoryStorm will always have a special place in my heart because it was one of the first community writing tasks that I did. Back then it was called PiBoIdMo (still not sure of the correct pronunciation), and it was the jumping-off point that helped me to start networking and discovering some of the many writing tools and communities available. I was still plowing through the previous year’s ideas last year, so I didn’t participate. This year, I’ll be jotting down ideas in my sparkly, new notebook courtesy of one of my best writing buddies, Caitlin LaRue. I love colors, glitter, and sparkle. Maybe that’s a testament to the days when I was absolutely in love with all things Lisa Frank. I have a laptop and frequently write on my cellphone, but I cannot get away from writing by hand. There’s something about it that makes me feel extra legit. I’m a writer. I have quirks. I’m embarrassed to admit that I was approaching a mini rage yesterday because I wanted a pink pen to do my edits and could only find turquoise and purple. I’d already used those colors when revising earlier sections and wanted a different color. See, now if I’d had my hand sequins pouch, all of my different colored pens would’ve been in one spot. See! I had an obvious need. Will my unicorn notebook hold the idea of what could be my next big sale? I have no idea. But, I will be in a good mood while writing my StoryStorm ideas in it. And who can really put a price on a good mood? Posted in WritingTagged PiBoIdMo, story storm, StoryStorm, writer must-haves, writer's life, writing mood, writing quirksLeave a Comment on StoryStorm 2018…I'm doing it this time.